Today’s post looks at an issue with 11.1.2.4 not correctly picking up Windows 2012 and explores the reasoning behind it. So the installer picks up the operating system as “Windows NT (unknown)” which I did mention in my post about the 11.1.2.4 installation and configuration. This has a knock on effect as when you configure the EPM Registry the same values are written to the registry. 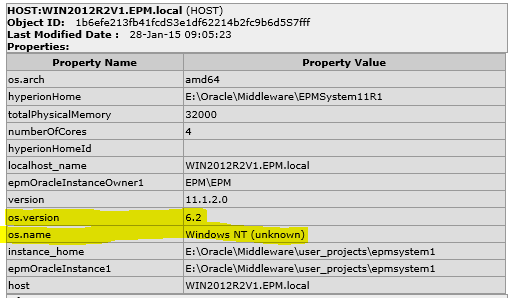 Running the deployment report outputs the same information as it is read from the EPM registry. So why is this happening? Well we will need to look closer at the versions of Java being deployed with 11.1.2.4, Java being an integral part of EPM. 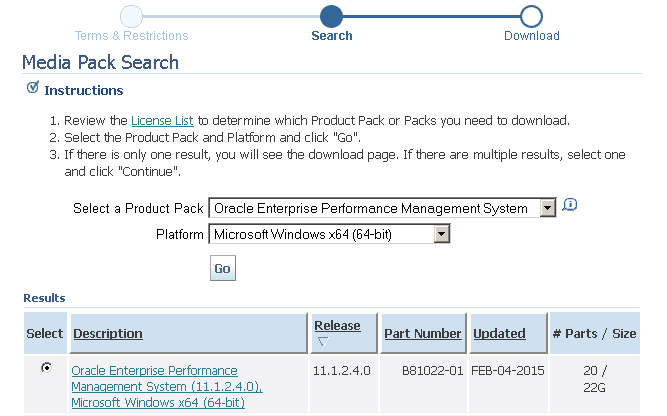 Each release up to 11.1.2.4 has been 12 months apart and in every case the versions of Java have been updated. So how about 11.1.2.4 which was released nearly two years after 11.1.2.3, you certainly would expect later releases of Java to be deployed. Worryingly the versions are exactly the same as the previous release. Even more concerning is the warning message you receive when trying to download a version of Java 6. 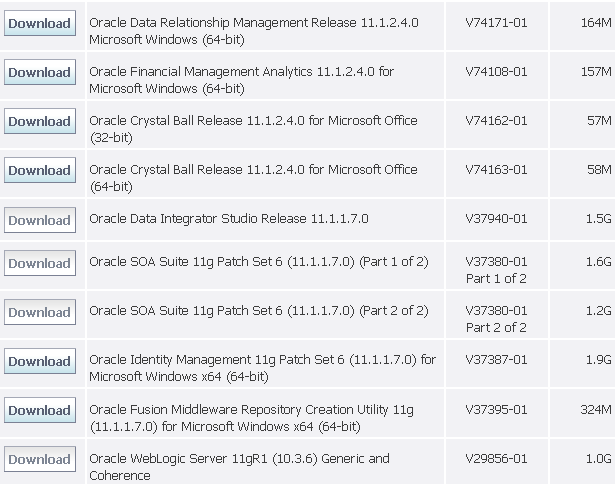 It stands out even further when you look at the Java release update table to see how far behind 11.1.2.4 is. 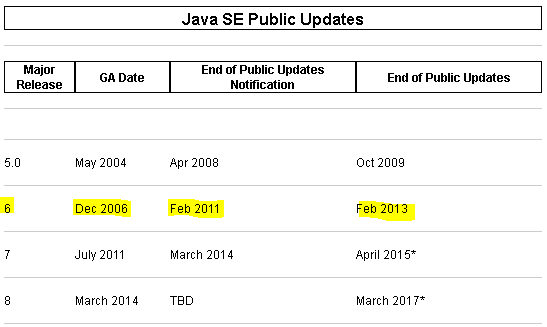 The last public update for Java 6 was update 45 was way back at the beginning of 2013 and update 35 which 11.1.2.4 is using was released in August 2012. Just this month the pre-release of Java 9 was made available. There have been a huge amount of security fixes since the versions of Java in 11.1.2.4 and on this world we live in, security should be taken extremely seriously. In fact it’s not just the versions of Java that have remained static as it is the same story across the middleware components. Anyway let’s get back to the reason why the OS is being picked up incorrectly. The Java code behind EPM uses the System class and Properties object to generate OS information, if you want more detailed information then have a look here. I wrote a simple Java program using the os.name and os.version keys to output OS information like generated in EPM. First using the EPM Java JDK version. As you see it is generating incorrect information, now using a later JDK 7 release. So this highlights it is the down to the version of Java which is causing the issue. I looked into this further and noticed that this issue was resolved in Java 6 Update 38. Update 38 was released in December 2012. As a test I thought I would start up the EPM installer using a later version of Java but first checked out the version being used. The version of Java that the installer uses is 6 update 29 which is even older than the version that is deployed. Using a later version of Java the operating system information is now generated correctly, please not this was just a test and I don’t suggest trying to install or configure with different versions. 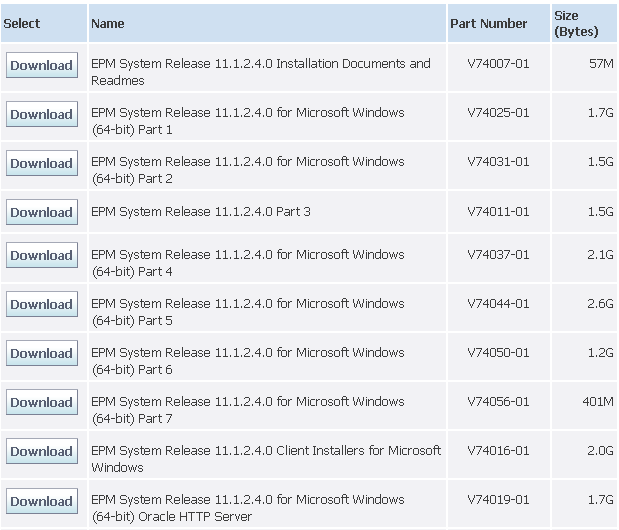 If you are interested in updating the registry so the OS information is correct then you can simply use the EPM system registry tool. The above is based on a single host but can easily updated against multiple hosts. Once the registry is updated the registry and deployment report will display the correct information. After the most disorganised EPM release I can remember the downloads are finally available on edelivery. 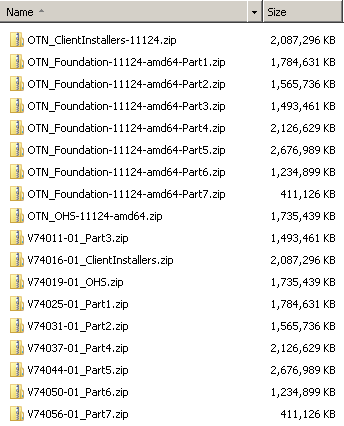 The downloads are packaged in the same was as 11.1.2.3 which is definitely more manageable than the OTN release. 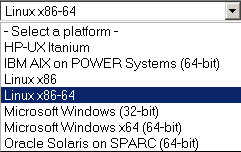 It is also looks like the same installer release/drop as the one on OTN which is good. So much was promised for the 11.1.2.4 release of planning but unfortunately some of the key new functionality missed out on the release and it looks like it will be delivered in a PSU. The main new feature is the simplified interface even though it is not really new as it first appeared in 11.1.2.3.500 and was aimed purely at accessing the interface through a tablet which I blogged about here. You still got the same functionality if you accessed the interface through a desktop browser but now in 11.1.2.4 the interface has been expanded to include more options and new functionality for administrators. Basically the new functionality is a port of the PBCS .601 release, in fact some of the functionality that probably should not really be in 11.1.2.4 release has been left it and the documentation is practically the same with references to PBCS which I will get on to this later. Because Planning forms now use the latest client-side scripting technologies in the new simplified user interface you’ll enjoy faster response times when you scroll, enter data. Because most work is now done on the client side, server requests are greatly reduced. We estimate that servers can now handle 33 percent more load than before in the same response time. Planning is, by default, configured to preload data when you open forms. To optimize performance, turn on compression by updating your web server or Load Balancer configuration. 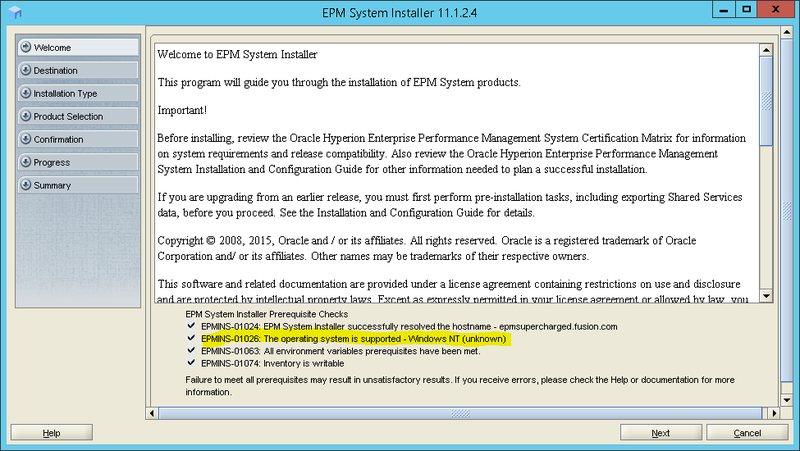 The Oracle HTTP Server instance that you install from the EPM System installer is configured to support compression. If you are using a different web server, see your web server or Load Balancer documentation for instructions to turn on compression. Now I am not going to go through every screen in the simplified interface because you only need to search for details on PBCS .601 and you will find it has all been done before, I am going to concentrate on the areas that are different from 11.1.2.3.500 and from an administrative perspective. The good news is the interface will work on most browsers including chrome and bypasses the requirement of logging into workspace. Once you log in you will be presented with the available planning applications. An administrator can now mange data sources and create/ delete applications. Once the application has been selected you will be presented with all the sections that can be accessed through the interface. 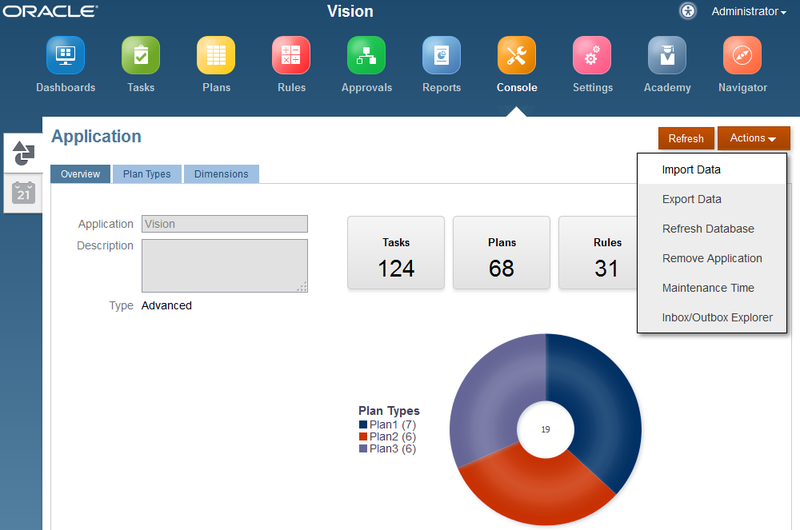 In 11.1.2.3.500 there was a section called Forms this has now been renamed to Plans but basically they are the same. It is worth pointing out that if you want users to view task/forms/rules then you will need to add them using tablet access which can be access from the standard and simplified interfaces. One of the new features is the ability to create eye pleasing dashboards which include forms, charts, external link and commentary. The other new area is console which is aimed at planning administrators. There is the functionality to import/export metadata and data but with this release there are additional options for the location of the import/export and the concept of jobs and scheduling. The location options for exporting are Local, FTP and Planning Outbox. Selecting Local will allow the metadata/data to be download in a compressed format to the local client machine. The FTP option allows to import/export from an FTP site. If it is an import then you also provide the file names of the import files. When using the FTP option a job has to be created. Rules, Import data, Import metadata, Export data, Export metadata, Refresh database, Plan type map. Once the Job has been saved it can then be scheduled. I have selected the Job to run immediately though are a number of different scheduling options available. If you have multiple jobs created you can select the required one. Once the job was executed I checked on the FTP server and all looked good. 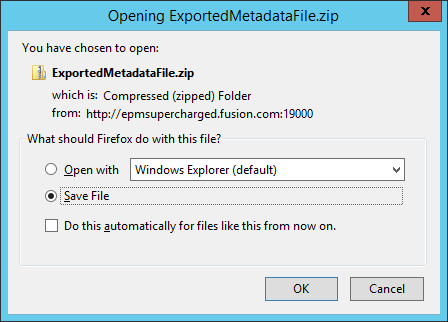 A compressed file named the same as the Job is sent to the FTP site and contains each of the import/export metadata/data files. It is worth understanding what is happening on the server side when an import/export takes place for housekeeping reasons. In the EPM instance tmp directory there will be a file generated for each of the import/export metadata/data files and the compressed file. These files are not deleted so over time if a lot of activity is taking place the size of this directory can mount up and should be added to housekeeping plans. It is also possible to change the location of the temp directory by changing the option values for the Planning java web application. There are also logs generated in the planning logs directory so if any issues are experienced then that is the place to check out. So how about the third location option for import/exports which is the Planning inbox/outbox. This time I will export data to the Planning outbox. The slice definition is exactly the same as you will probably be used with the outline load utility or through the planning standard interface. The process is the same as I went through previously, save the Job and then schedule it. Once again I am going to run the job immediately. So this time the data is exported to the Planning outbox which you can access through the console so you can download whenever you like. The explorer also allows you to upload files. You may be wondering where is the location of the inbox/outbox, well it is exactly the same location which has been defined as the LCM import/export directory which in many cases has been assigned to a share. I am not aware that the location can be changed so you will need to be mindful of naming conventions to differentiate between LCM files and if the inbox/outbox is going to be heavily used there are going to many files sitting in the root import/export directory. As with the metadata the temp directory will also be used as part of generating the files. It looks like the export data is first created in the temp directory and then renamed and copied to the LCM directory. If on windows the account running the planning service will no doubt need access to the LCM directory. Once again there will also be logs generated for the export. I am not sure what the 0KB file is all about in the temp and log director, maybe the log files should have been added to the zip. What looked a little odd to me was the recent activity in the job console seemed to always be empty in the simplified interface. The job console can be accessed through the standard interface under Tools > Job Console and correctly contained the job history. It is also possible to view the import/export status through standard planning by going to Tools > Import Export status. I have noticed something strange with LCM which I am assuming is a functionality change or a bug because it did not occur in 11.1.2.3. Basically every time you restart foundation any of the zip files in the LCM import/export directory will be extracted which in my opinion can’t be correct but it seems that LCM now does not compress the LCM files into zip format by default which is a change from 11.1.2.3, I can’t see this documented anywhere though. This is also causes problems related to the Planning inbox/outbox. 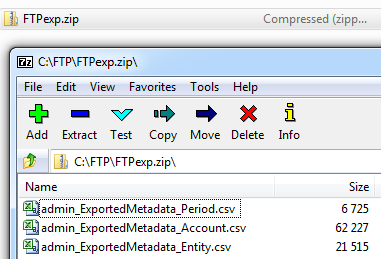 The zip is extracted and the zip is removed so you left with a folder and the extracted files. 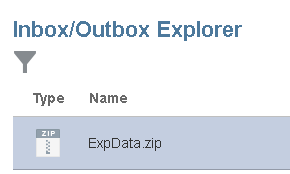 If you go to the Planning Inbox/Outbox Explorer the file has now disappeared. As it is now extracted if I go into Shared Services I can now see the folder under the file system. If I zip it up again then it appears in the Planning inbox/outbox explorer. I am sure this is going to cause confusion if the Planning inbox/outbox is going to be used. I am sure if an on-premise planning administrator reads the above statement they would start to get a little concerned. 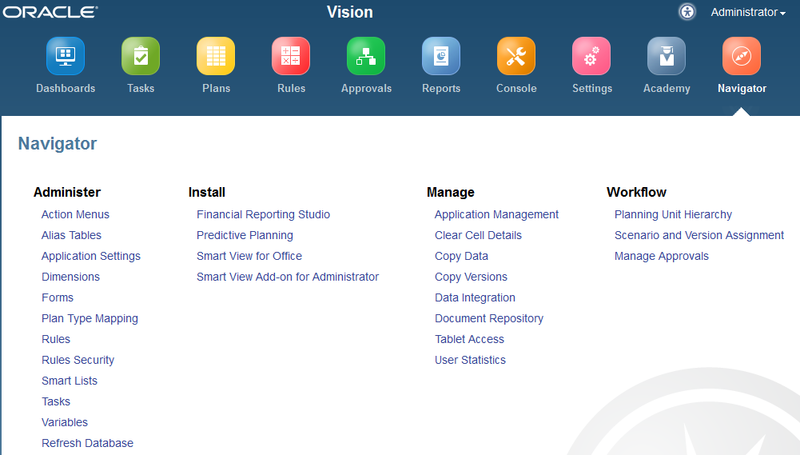 Another new area in the simplified interface is the Navigator area, this provides access to administrative options and can links back to Shared Services (Application Management) and FDMEE by opening a new window while still maintaining the SSO. Nothing really surprising in the navigator section but it shows that a lot of functionality is covered in the simplified interface, shame to see that the user statistics has still not progressed from the early days of planning and is still as bad as ever. The property can be added through standard planning. The forms accessed through simplified interface now include instant save. 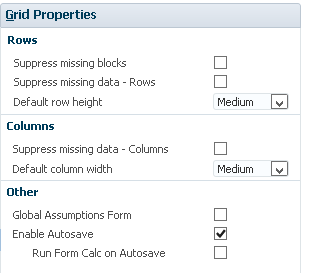 There is also the option to set a property called Autosave in the grid properties of a form, this option is only for forms accessed through the simplified interface. When planners move out of a cell, their changes are automatically saved, with no prompt or message. Cell values are aggregated to their parents, and the affected cells are displayed with a green background. Planners can successively undo actions with Ctrl+Z. Again this functionality does not work when suppress missing data or blocks is enabled. It’s worth mentioning that a new feature in Hybrid Essbase is that Time-balance tagged members and Dynamic Time Series members can be calculated so it is definitely worth investing time to see if Hybrid mode will work for your planning application. If you are going to use both the simplified and standard planning then when moving from simplified to standard make sure you log out and clear the cookies or you could end up with formatting issues in standard planning. Finally planning no longer supports the Classic user interface (that is, up to and including Planning Release 11.1.2.1) so if you are upgrading there will be no option to use it anymore.